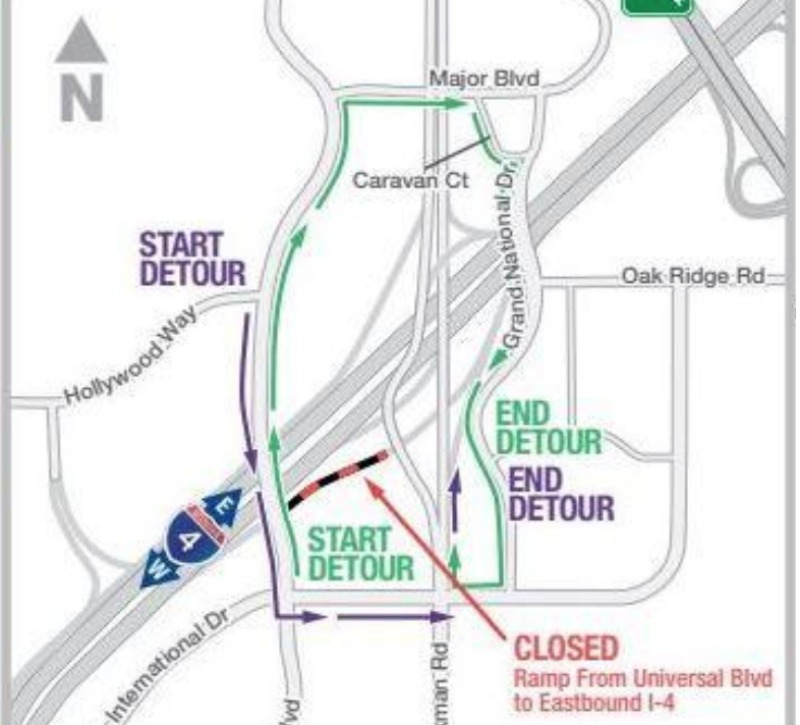 A significant on-ramp to I-4 Eastbound right in the heart of the theme park district closed overnight Sunday and will remain closed for the several months. According to officials with the Florida Department of Transportation and the I-4 Ultimate Project, the closure from Universal Boulevard will allow construction crews to continue building the new I-4 and Kirkman Road interchange as part of the I-4 Ultimate Project seen in the image below. Detour signs are up and clearly marked, but those not familiar with the area will need to pay close attention.